Freely adapted from Charles Dickens by Susie McKenna. Lyrics by Susie McKenna and Steven Edis, music by Steven Edis. When Hackney Empire Theatre was closed for refurbishment in the early 2000’s we were unable to present our usual pantomime. Instead, we came up with this very small-scale adaptation for four actors (and some puppets!) which played at Hackney’s other space then, the Bullion Room. 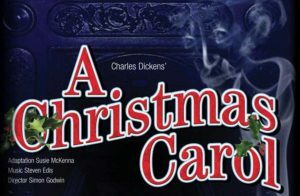 Since then, this version has also been staged at the Tabard Theatre in Chiswick, and at the Arts Theatre in the West End.